• Somatization disorder is thought to be rare or nonexistent in men. 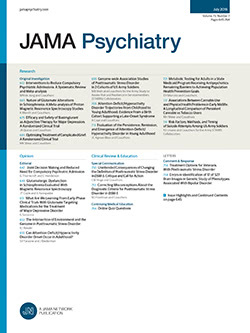 We examined this hypothesis by assessing gender differences in DSM-III-R diagnostic status, demographic and clinical characteristics, functional limitations, self-reported health status, and psychiatric comorbidity in 30 men and 117 women who were referred for multiple unexplained somatic complaints. Twelve men and 68 women met DSM-III-R criteria for somatization disorder. Among those meeting criteria, there were few differences on any of the dimensions that were assessed. Different referral sources for women and men suggested differences in physicians' perceptions of somatic symptoms in men and women. We concluded that somatization disorder exists in men, and that women and men with somatization disorder show similar clinical characteristics.